10 COMMON HOME BUYER & SELLER FEARS! WHAT TO DO ABOUT THEM! Making a home purchase is one of the biggest steps anyone will make in their lives. Naturally, there is a lot to think about which can sometimes create anxiety about the unknowns surrounding the condition of the home and the purchase. Likewise, being a home seller has it own set of things to worry about. Here are common homebuyer and home seller fears and how to address them to make your home buying or selling process feel more comfortable. After all, the more you know, the less you have to worry about. Concerns over pricing are usually connected to market timing. Did you pay the right price, or too much? What if you find a similar home in the neighborhood that goes for more in a few months time? 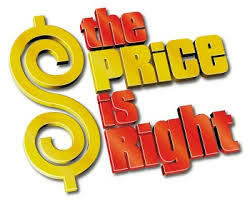 Paying the right price for a home has to do with market pricing and market timing. If the house you are bidding on has garnered a lot of interest, you may need to increase your offer to compete in a multiple offer situation. If you were the successful buyer and paid over the asking price, and are happy with your purchase; then you have paid for the value of the home at that time. Your home may have features or even appeal that other homes lack. Believe it or not, it is the buyers who inform the market with what they are willing to pay. Everyone has this concern. What if you find major issues when you have the home inspected, or worse after you move in? When a seller states they are selling the home "As Is", are they hiding something? If you begin home repairs or a remodel, will you find a bigger issue to deal with? Understanding the costs involved in regards to the condition of the home, possible upgrades or major issues can be determined by a home inspection. If the home requires repairs, upgrades, remodel or addition, you can also have a professional Contractor weigh in with estimates for the work that may be needed. Leave yourself a budget for the unknowns and make sure to inspect the costly larger repair items like: roof, foundation, termites, old plumbing, heating & electric, before your purchase, so you fully understand possible costs. When you came to the open house, you met the neighbors and they seemed so nice. What if the rest of the neighbors aren't so friendly, or some are even unfriendly or strange? What if someone comes and goes at all hours of the night at the home that is a mirror image of yours across the street? Take a drive through the neighborhood of your chosen home at different hours of the day and night, during the week and on the weekend (outside of OPEN HOUSE time), to observe and find out what it is really like. Check local crime statistics and other websites to determine the safety of your neighborhood. What if interest rates rise while you are searching for a home? This wasn't such a big concern before the recent election, when the interest rates remained stable for many years. It is only recently that they have bounced around. One option is to set a timeline in which you will purchase a home and ask your mortgage lender to lock your interest rate, at the best current rate to meet your timeline. You may have to pay a fee for this privilege, but it may be worth it for the peace of mind of knowing your interest rate will remain stable. What if we fell in love with the house but didn't think it through? What if the floor plan doesn't work out the way we thought it would, or the closet and storage space isn't enough. What if we make an offer under pressure and skipped reviewing the day-to-day living details? That's what you have an experienced Realtor for. They are looking out for your interests and have reviewed your needs carefully. As your guide, they will point out not only the features and benefits, but the realities of what may not be on your list and how to approach it, whether through a compromise, a negotiation, an upgrade or addition. After viewing many homes during the course of their careers, they have an abundance of creative ideas on how to make the best of the properties that you are viewing in your price range and will offer suggestions as to how to make it work for you. Just like buyers fear over paying, sellers wonder if they could have gotten a higher price with an accepted offer. Especially when they sell quickly, within a few days of hitting the market. In fact, if the home is priced right and the Realtor has been pro-active in marketing the home, it may attract a large pool of buyers. If you receive multiple offers, then the final offer price may even rise, especially when there is low housing inventory available. If your home sells quickly it is because it was priced right and buyers understand that and your Realtor has done their job. Many Realtors have a following of other agents and the public who will visit the homes that they list. A successful Realtor may affect a faster sale. What if we put the home on the market and we get a small turn out of buyers and it doesn't sell right away? We put a lot of blood, sweat and tears into our home and we don't understand why it's not selling immediately. There are several factors why a home may not sell right away. It is dependent upon the timing in the market. How many homes have come to market in the same price point in the same time? It may also be how the home is shown. Has the home been fully or partially staged? Staging is known to improve the sale of homes. Is your home priced correctly? Sometimes we get emotional about our home and want to ask more money than the buyers in the market are willing to pay. Check how well your home is showing and check the sales values of homes that have recently sold, or are currently for sale in your neighborhood for an honest comparison. What if we get into contract and for some reason the buyers can't close escrow - they lost a job or are having trouble with financing? We wish there was an "Escrow Support Group". This can be an anxiety producing time with the unknowns about how the buyer will perform. Your Realtor will likely have taken precaution to mitigate these issues. A buyers loan pre-approval letter states that they meet the requirements for a loan with the information that was provided, before underwriting. Loan approval goes a step further, meaning the lender has made a promise to lend. Ask your Realtor about what insurances can be written into the contract to insure you if the chosen buyer does not perform. Discuss a contingency plan for re-marketing the property if this happens. Thinking this through can help ease worrying about it! 4. WHAT ABOUT THE BUYERS INSPECTION? You are nervous about what all of the inspectors are finding as they are combing your property and it feels like they are looking for something to go wrong...and it's nerve-wracking. Remember that everything in real estate is negotiable. Every home has some issue, even if you have done the greatest diligence in making sure your home is in great condition for the sale. Likewise, the buyers Realtor has probably prepared the buyer to expect some issues, and they will likely understand that some money needs to be spent on the home either to make a repair or so that they can put their own stamp on it with upgrades or a remodel. You can get a sellers home inspection before you place your home on the market to disclose any issues an inspector may find, so that the buyer is informed prior to making an offer. 5. SHOWINGS, BUT NO OFFERS? What if the Realtor has many open houses and showings with lots of foot traffic and nothing happens? You're feeling a little out of control. Does this mean the home won't sell? Stay calm and take your cues from your Realtor. The real estate market can shift quickly. A good listing agent will make sure that your home hits the market at the right time. If there are 3 houses for sale on your block, you may be counseled to hold-off on your sale, until those homes sell and the signs come down. Agents who are well versed at representing buyers and sellers are tremendously proactive at heading off potential problems before they become major issues. Your agent is your greatest asset. Discuss your fears with them and strategize together to address each and every question and thought you have about the process. They will advocate for you to make your real estate journey as seamless as possible.